Congratulations to our Volunteer of the Month, Bruce Murdock. 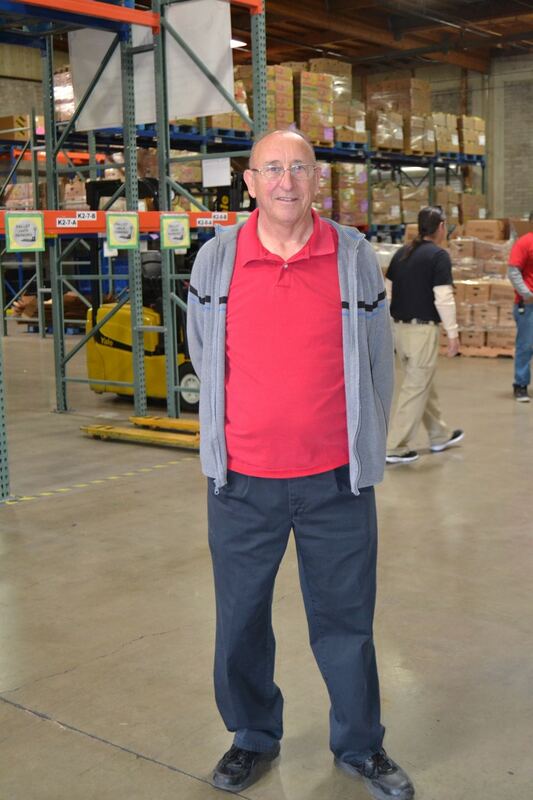 Bruce has been volunteering for 6 years- 5,200 hours total! He began volunteering right when our Knight Transportation Community Services Center first opened. He heard about St. Mary’s on TV and was looking for something to keep him busy, and he wanted to give back. Bruce’s favorite time to volunteer is Thanksgiving week. He likes how eventful it is and the amount of people we are able to help. He recalls that this past thanksgiving (2015), they served 10,288 clients. While he has enjoyed his time here, Bruce just had his very last day volunteering with us. He is ready to spend more time at home with the wife. “We are newlyweds… Only been together 50 years!” he says.